Porto played strongly during the last season and deservedly became the champion in the Portuguese national championship. Their current season is also going well. The Portuguese Grand now leads in the standings with 24 points after 10 matches played. The “dragons” are only 2 points ahead of Sporting CP, and while this probably disturbs them, Porto now is clearly more focused on the upcoming Champions League battle with Schalke 04. Spurred on by their previous victory over Braga (1:0), Conseisau’s wards are ready for their forthcoming match. After this triumph, they will surely be more confident in their abilities. If we talk about Porto’s performance in the current season, their strength is a reliable defense. The team conceded 9 goals in the last 14 games – a really good indicator. As for the closest rival in European competitions, Schalke 04’s previous season also went well. Dominico Tedesco’s squad ranked second in the German championship, losing out only to Bayern Munich. However, this season is not the best for the team according to the results of the current standings. Right now, they can only boast of their 14th spot in the Bundesliga table, having scored 13 points in 12 matches. Naturally, such results cannot please the German club’s fans. Regardless, now all of the players’ thoughts are clearly focused on the European Cup duel with Porto, as Shalke are only two points behind the nearest rival in the group. Schalke occupy the second position in group D of the Champions League and can take first place if they beat their Portuguese rivals in the forthcoming skirmish. Although Shalke face an uphill battle, they have a real chance. This match will determine the first spot in the group, so both teams will play with utmost caution. 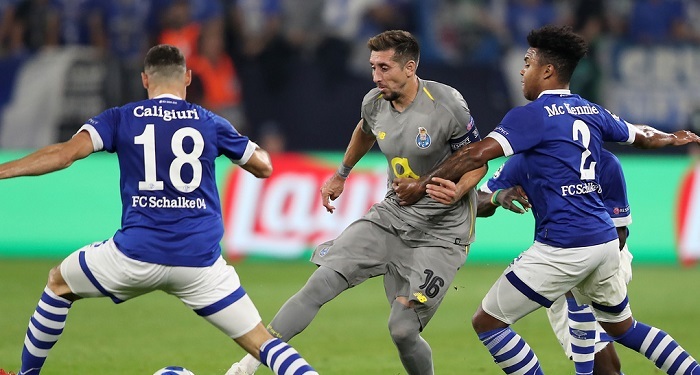 A draw would satisfy Porto, so the hosts will most certainly focus on defense. As we already know, Porto have excellent defensive skills. Schalke are experiencing obvious issues in attack. They have great difficulty scoring goals in matches against strong opponents. In view of that situation, we do not expect to see the most spectacular match, the main part of which will most likely be held behind the center of the field. Given this perspective, we are unlikely to see numerous goals scored. Therefore, our bet has the full potential to succeed.